I am excited to share some of the best do it yourself projects, tutorials, and tips from around the blogosphere this week! I hope you enjoy the eye candy as much as I do. Be sure to click the links to be taken to the original source. Cristina from Remodelando la Casa Home Tour via It’s Overflowing. Her entire home is worth seeing! 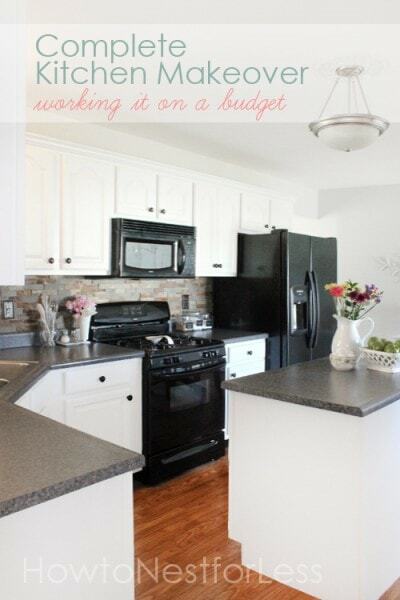 Kitchen Makeover by How to Nest for Less. 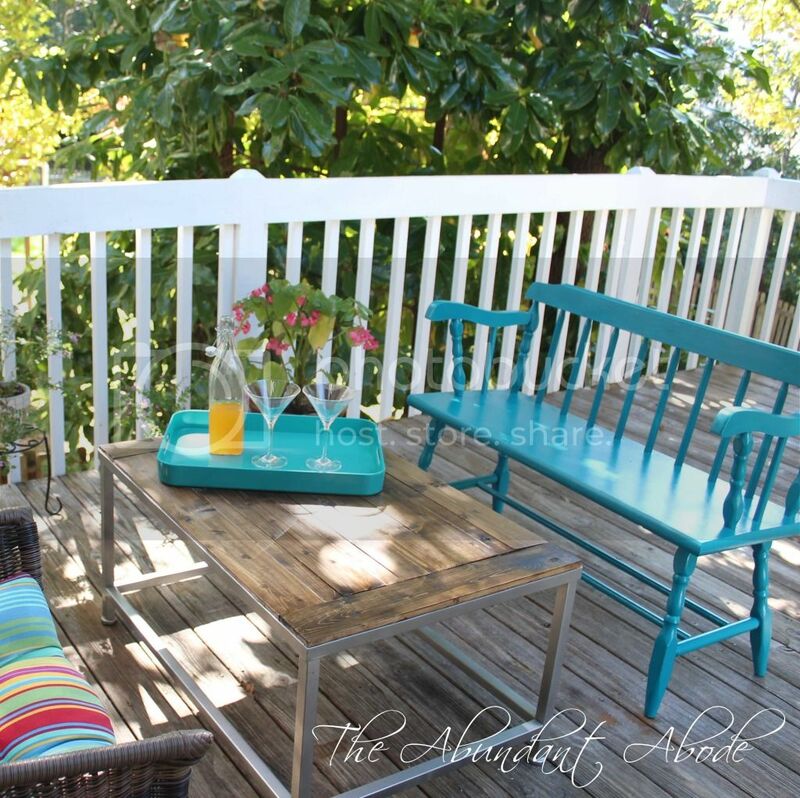 Gorgeous makeover with helpful tips on how to stay within budget. Big Girl Bedroom by SAS Interiors. I love the fun and vibrant colors Jenna chose! 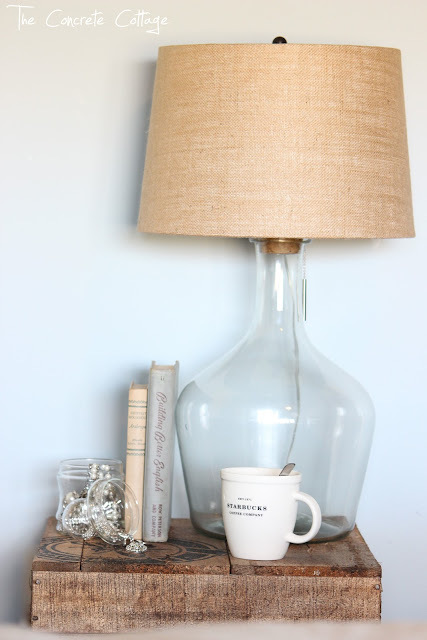 Pottery Barn Knock-off Glass Lamp by The Concrete Cottage. This lamp is nearly a dead ringer to the original but without the spendy price-tag. 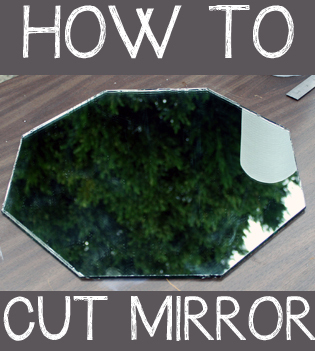 How to Cut a Mirror into a Shape by View Along the Way. I have a free Craigslist mirror in my basement just waiting for this tutorial! How to Remove Large Vanity Mirror and Repurpose by Mommy is Coo Coo. If you have a huge vanity mirror that you want removed so that you can repurpose it somewhere else, learn how it is done with this tutorial. How to Create Your Own Terranium by The Learner Observer. These are so great to brighten your table during the long winter months soon approaching. How to Paint Furniture Upholstery by Little House in the Big D. I have been wanting to do this for years now! DIY Faux Copper by Dimples & Tangles. Copper is hot right now. Learn how to create your own. 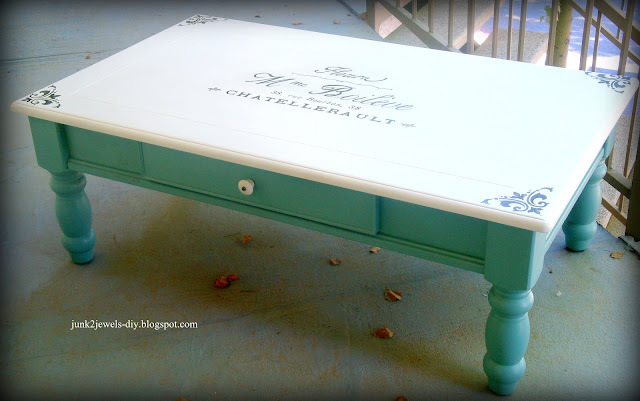 Image Transfer onto Furniture Technique by Junk 2 Jewels. She gives you lots of step-by-step instructions in this tutorial. Installing DIY Barn Doors by Interiors by Kenz. This post highlights what every DIY’er knows to be true—EVERY project comes with a glitch. See how they overcome theirs while installing their cabinet barn doors. Building a Tabletop for Patio Table by The Abundant Abode. This patio table used to be covered in tile but received a face-lift. Go see how she did it! 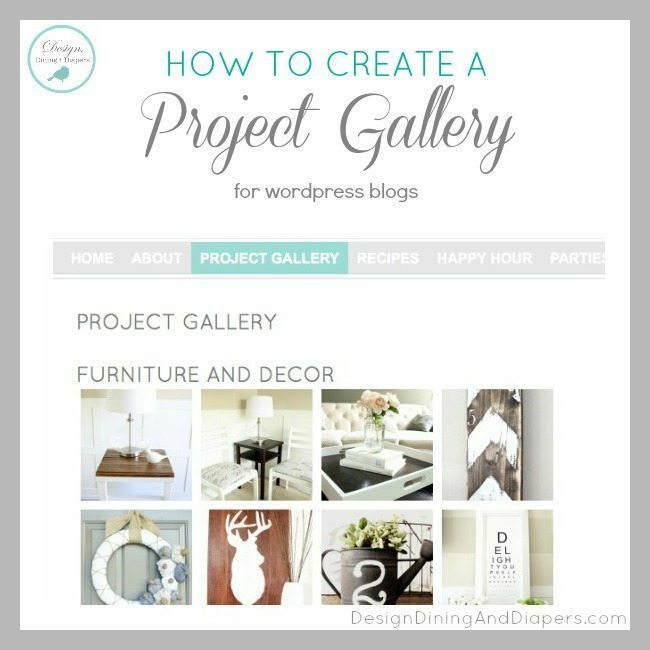 How to Create a Project Gallery for WordPress Blogs by Design, Dining, & Diapers. There are several ways to create a beautiful project gallery for your blog. Taryn shares a great tutorial on one of the ways to achieve this goal! Thanks to everyone who linked up to the party! I’ll see you in a little while for tonight’s party. Thanks so much! It was such a great surprise to see my kitchen on the features! Thanks big bunches for the feature on my lamp!! Hope you’re having an amazing day! 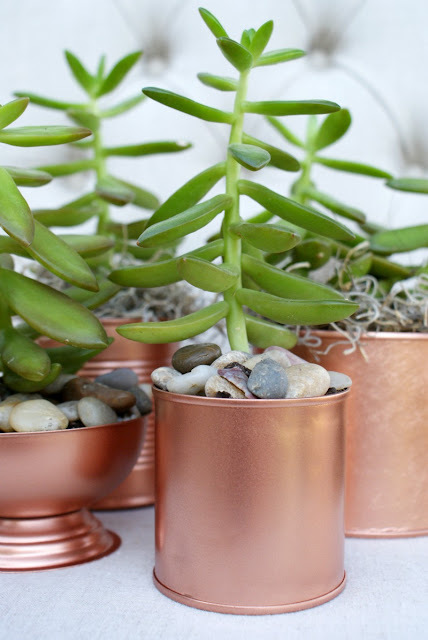 Beth, thank you so much for featuring my simple little copper planters! So many great ideas in this party! Thanks for including my mirror-cutting tutorial! 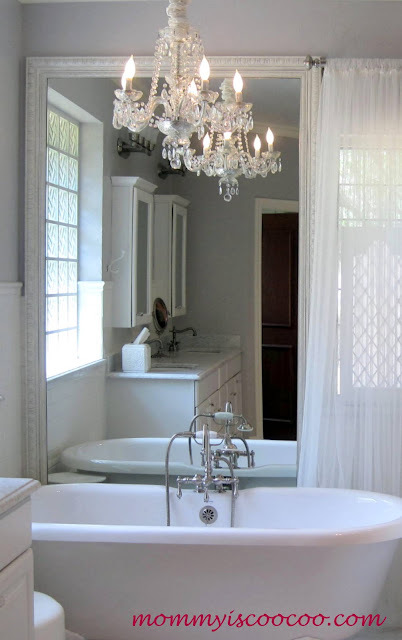 I had to stop and stare at the chandelier in the first home tour. Stunning! This is my first feature! I’m so excited!!!! Thanks so much! I love all these links. Cristina’s kitchen is so beautiful. I love the color combination! Thank you so much for featuring my vanity mirror. This coocoo momma couldn’t be more grateful! Have a great week.